At a local holdem home game the situation where a card was accidently exposed (flipped over) when dealing by the dealer (after the 2nd card). The player that would have gotten the card was skipped and received the last card of the deal. Question? According to the house rules - the exposed card was discarded and a burn and flop from the deck was made. Most places I have played I am pretty sure that the exposed card is the burn card and flop is made without the burn. The home ru;e maker was pretty strongminded in saying that his way = was the way it was played in vegas (ie the exposed card is not the burn, it is just discarded and a separate burn and flop are made. ). Is there an experience Las Vegas dealer/TD/player that can confirm what he was saying? I understand any establishment can modify rules, but I like to insure I know what the norm is when people say things like "this is the way it is played in Vegas"
Similiar question (this did not come up), What if instead of a card accidently flippling (or leaving the table), it was a boxed card It is my understanding that a "boxed card" (wrong side up in the deck) is normally treated as a piece of paper and the dealing progresses as though the card was not there. If such a situation comes up when dealing to the players which rules take effect (ie is the player that the boxed card would have gone to skipped until the end or is he given the next card. How is the burn and turn done in this situation. From what I've read, I would say they are two different cases and in the boxed card example the player would get the next card (not skipped) and deal would then progress with the dealer getting the last card as normal and the burn being the next off the deck (not the discarded card). I realize this is a real rare occurannce (even more so then the flipped card) but what is the norm in this case (if there is one). 1. Exposed Card - Per RRoP, Chap. Two, "Professional Poker Rules", Section 5, "Hold'em", sub. 1, (Note: This is the section for Casinos and is followed by every casino I have ever played in. Chet) "If the initial holecard dealt to the first or second player is exposed, a misdeal results. The dealer will retrieve the card, reshuffle, and recut the cards. If any other holdcard is exposed due to a dealer error, the deal continues. The exposed card may not be kept. After completing the hand, the dealer replaces the card with the top card on the deck, and the exposed card is then used for the burncard. (emphasis added) If more than one holecard is exposed, this is a misdeal and there must be a redeal." In the section on Private Games, the rule is essentially the same, except a misdeal results ONLY if the first holecard dealt is exposed. The rest of the rule is identical. 2. Boxed Card - Again per RRoP, Chap. Two, Section 3.4, "Irregularities", sub 7, "A card discovered face-up in the deck (boxed card) will be treated as a meaningless scrap of paper. A card begin treated as a scrap of paper will be replaced by the next card below it in the deck, except when the next card has already been dealt face-down to another player and mixed in with other downcards. In that case, the card that was face-up in the deck will be replaced after all other cards are dealt for that round. In the section on Private Games, the rule is identical. All this said, it is entirely possible that a local cardroom/casino has established house rules which differ. 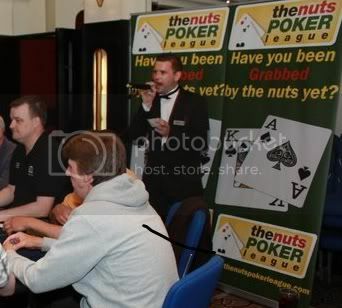 So it is always a good idea when visiting a cardroom/casino for the first time to inquire about their house rules. Various casinos do indeed have erroneous rules which are often outdated and not in keeping with modern practices - for example a casino I visit still enforces the button cannot receive two consecutive cards rule which is rather outdated. Chets dictation of RROP is used in every casino or event I have ever attended or indeed ran, I find it 'unlikely' that any casino would have a rule that an exposed hole card on dealing would be treated as a boxed card, as this therefore interferes with the board cards. RROP is quite specific, indeed most rule sets are that any errors are rectified in a manner that causes the least disturbance to the board (eg a flop error would be corrected in such a manner as to retain the correct turn and river) so this 'rule' at your home game is extremely hypocritical and not in the best interests of the game. That being said it does not negate the possibility of it being a rule in a casino. With regards to a boxed card, it is treated as a meaningless scrap of paper and does not change the deal, if discovered during a deal it is placed in the muck pile and the deal continues as normal (not missing players as in the exposed card rule) or altering burn cards. Think of a boxed card as this:- You are dealing the cards out to the players and a small piece of plastic from the wrapper comes out between the cards, you would deal as normal in this situation, boxed cards are no different.